KTGA put on its second Shanghai cultural festival featuring arts, crafts, performances, lectures and theatrical environments. 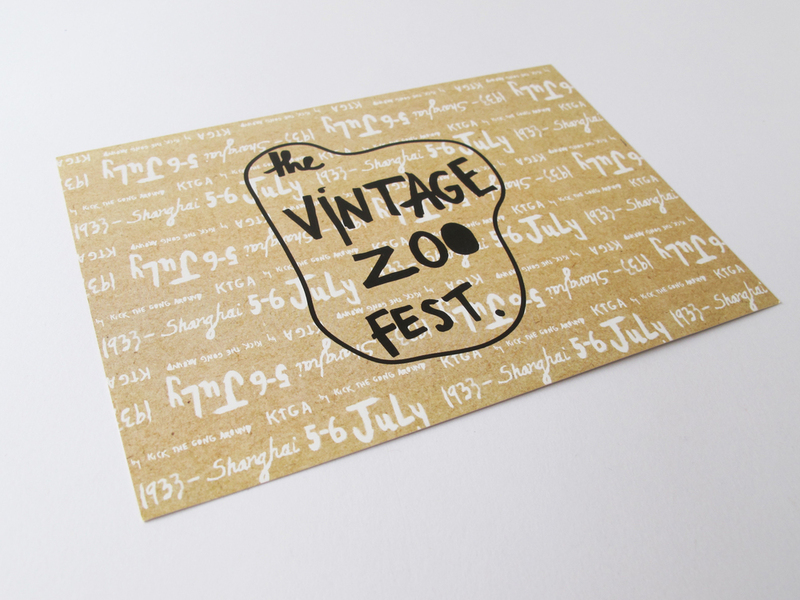 The venue, which is named ‘1933’, used to be an old art deco abattoir located in Shanghai’s historic Hongkou District. 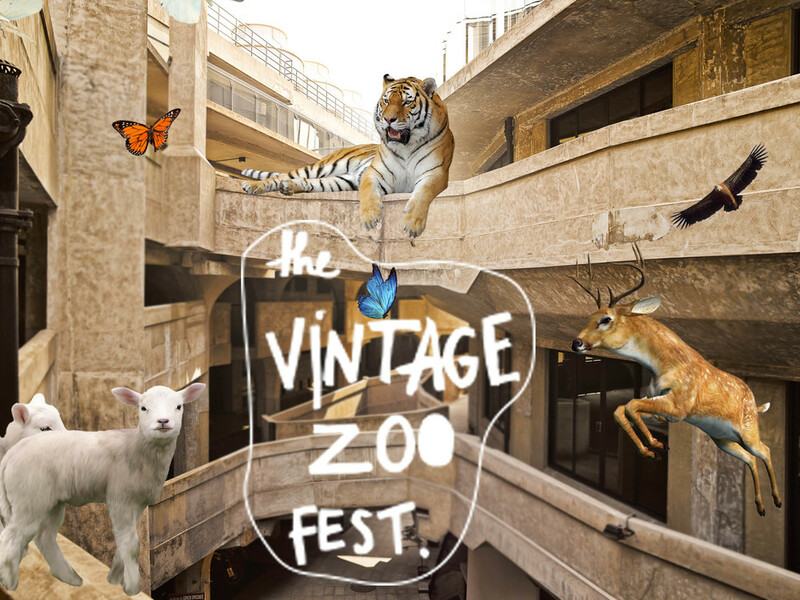 This magnificent and largely unused space was the main inspiration for the overall event theme, ‘Vintage ZOO’. The colossal building, with its concrete maze of interlocking ramps, atriums, bridges and spiral staircases, has a very unique and mysterious atmosphere. 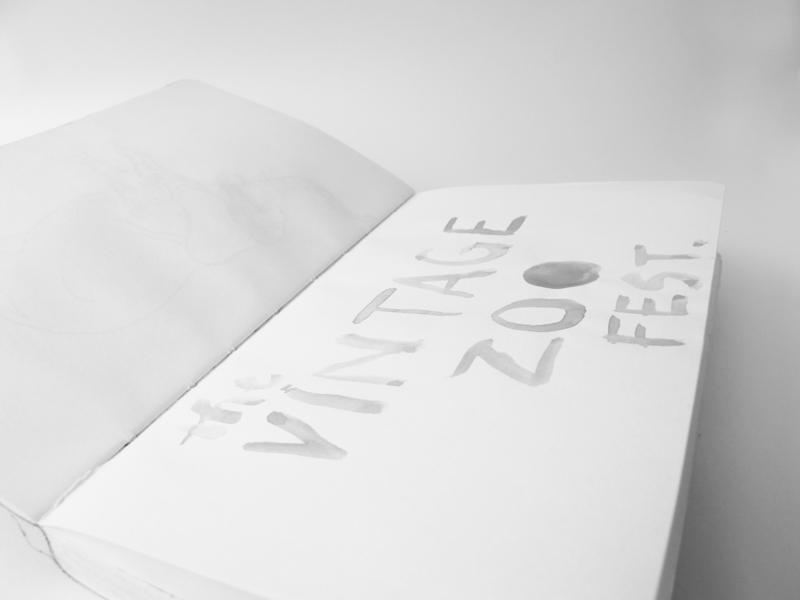 KTGA’s idea was to bring the animals back to the 1930s slaughterhouse - almost as a homage to them. Using playful colors and a loose lettering style, the graphics and concept appealed to adults, children and young families alike. 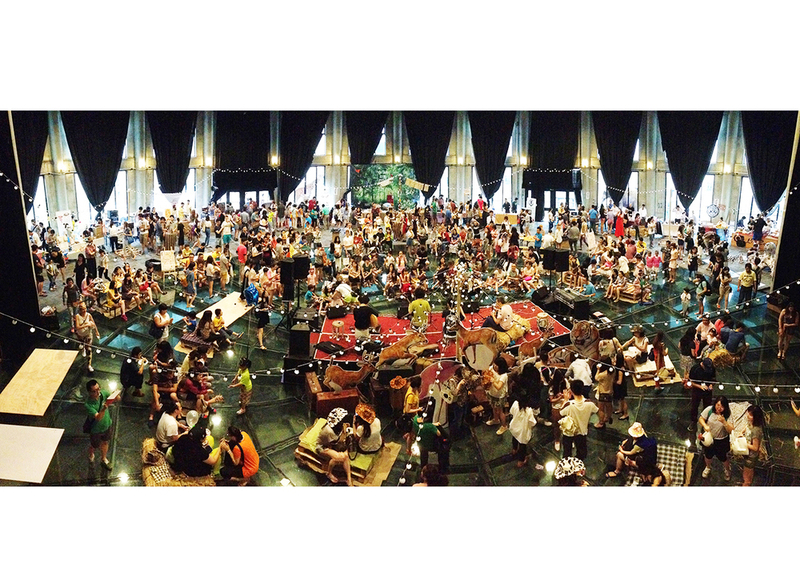 The event saw an attendance of roughly 3,000 people per day for two days (60% Chinese and 40% foreigners). 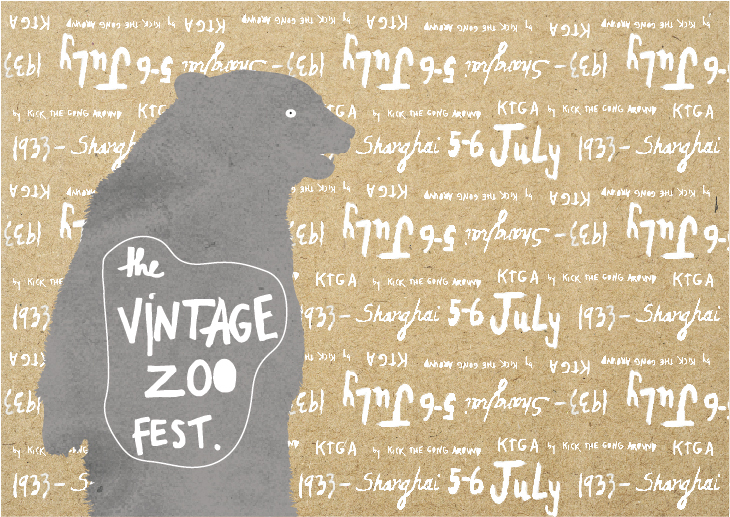 Explore and discover The Vintage Zoo Festival - KTGA’s 2-day spectacular wonderland event. 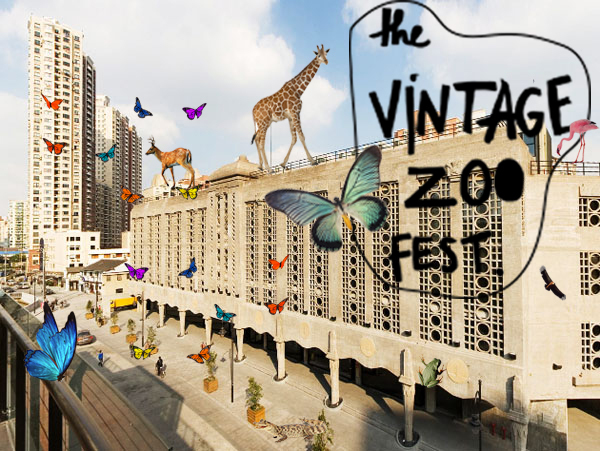 Don your wildest animal/zoo outfit, be mesmerized at the transformation of 1933 Shanghai - the former Old Millfun, an architectural marvel that was once a slaughterhouse - and immerse yourself in KTGA’s Second Summer Grand Bazaar. 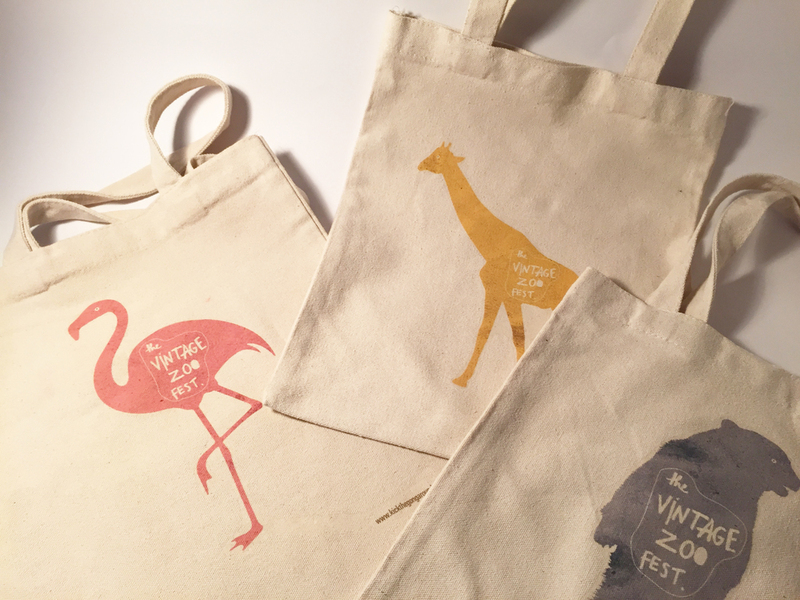 Take A Browse On The Wild Side! 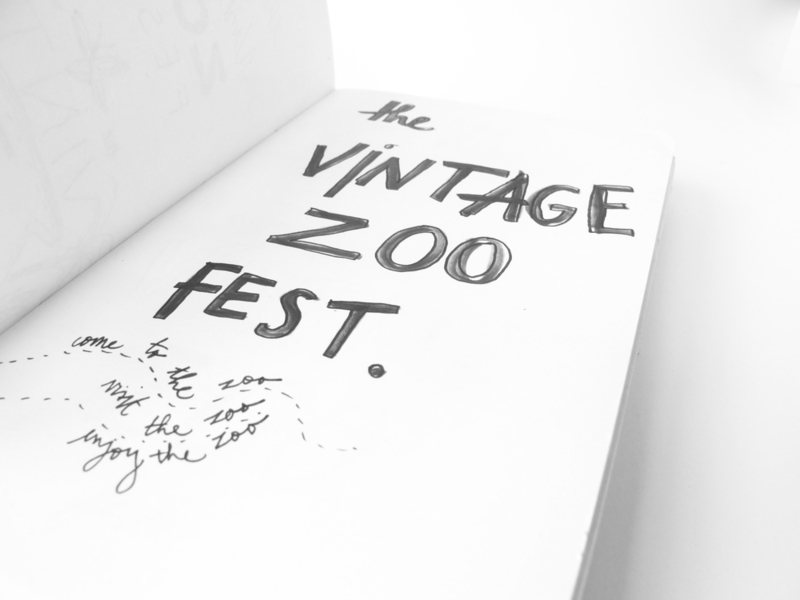 Playful dark pastels and handlettering. Postcards with lettering background on craft paper. 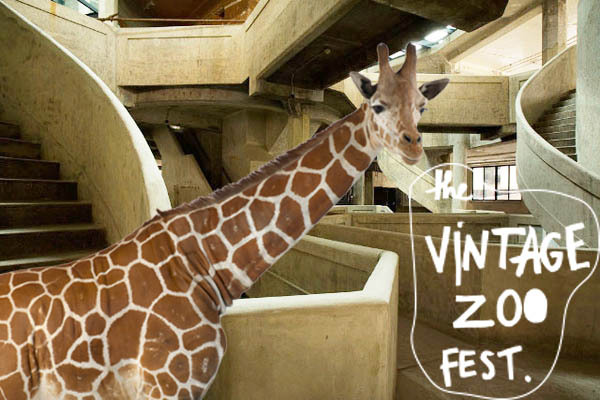 Playful collages representing real animals inside the venue. 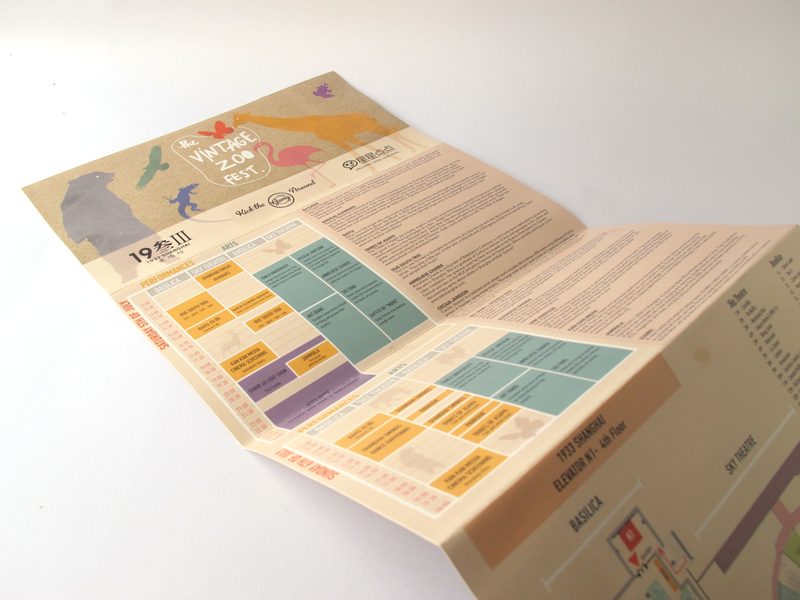 Following the same visual identity this event guide shows the very busy schedule of the event including performances, art interactions, workshops and lectures about creativity and design. Props generating an interaction with the public. Playful props gathering people in a playful way. Live art interaction happening for the weekend allowed the venue to change over the time making it into a happening. Artist from Swatch Art Peace Hotel residence Cecilia Jansson produced this 20m piece with several charcoal produced animals. 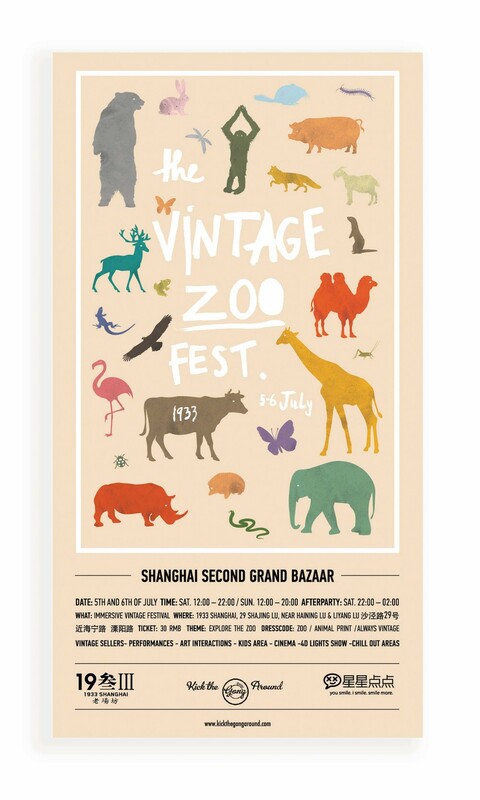 In parallel we had a bazaar with some of the best craft makers and designers from Shanghai. 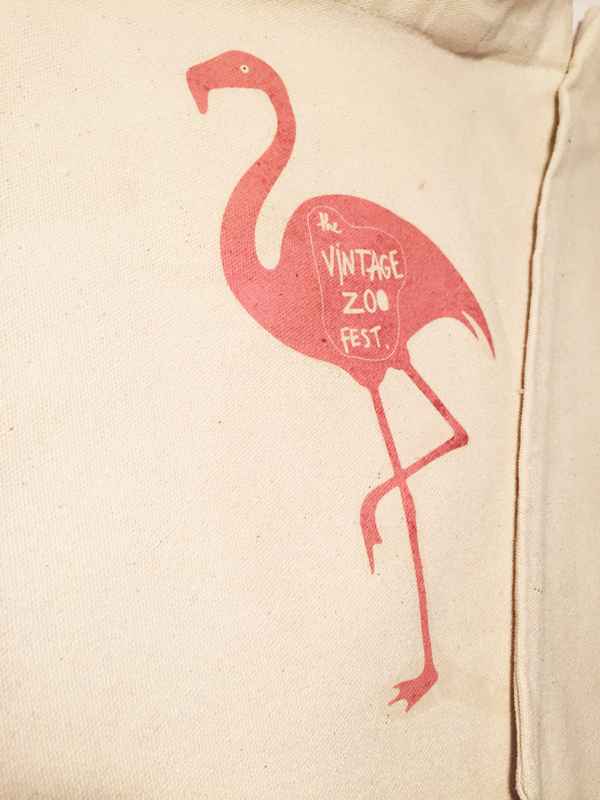 Also we had a lot of very premium vintage sellers - timeless and romantic journey to the past. The first thing that visitors see when coming into the venue. 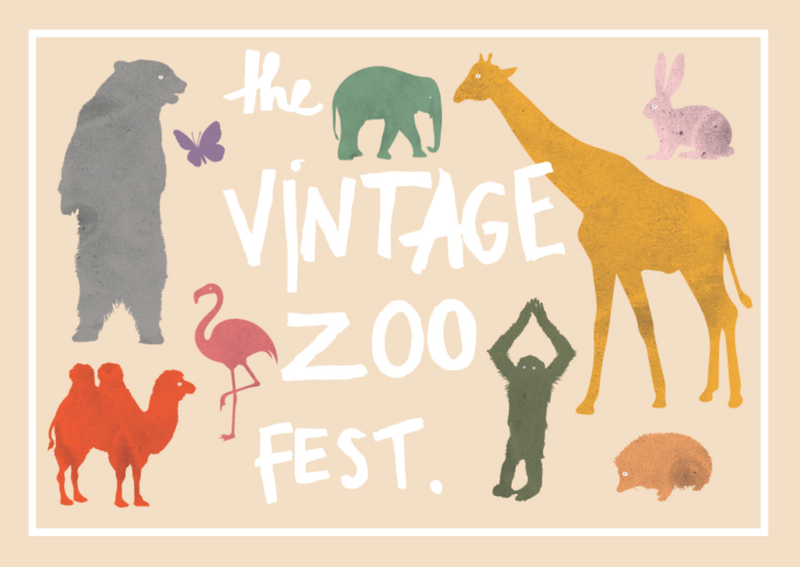 A jungle of animals. Gypsy tones at the small stage with a mild background in sync with the identity. Vintage inspired lamps utilizing Shanghai biscuit cans. Shanghai Circus is present appearing in animalistic outfits. 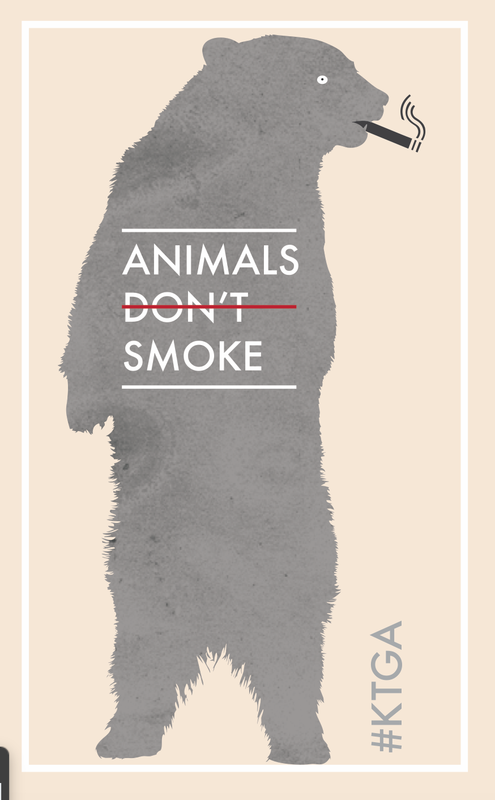 Animals all around the walls. Paws all around the venue.